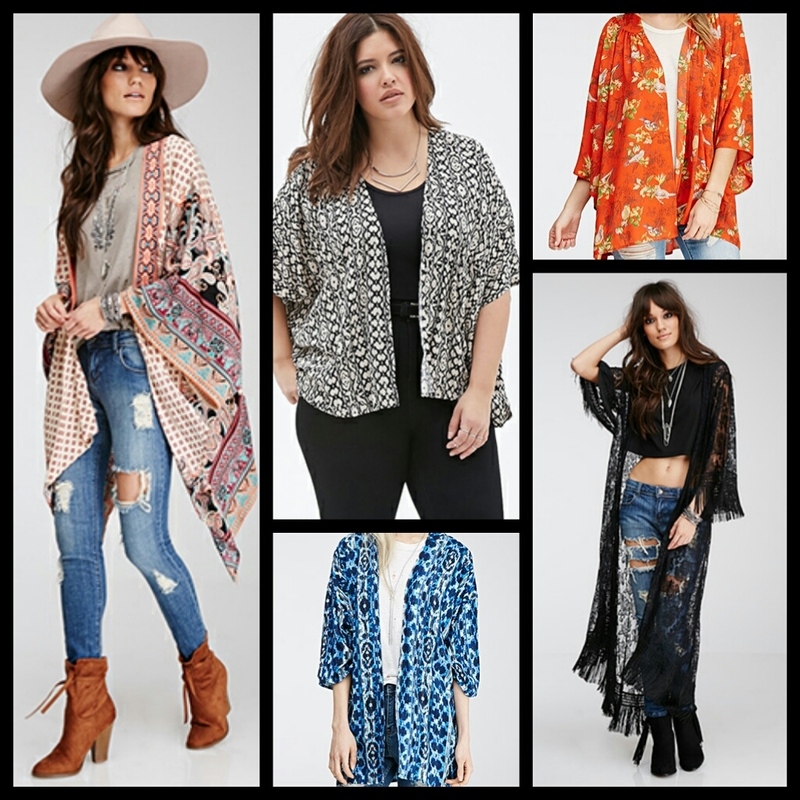 Another awesome trend for this season are Kimono’s! This hippie chíc style is versatile for a casual look as well as dressed up. With fringes or without, long or short, everyone can rock this style! Not to mention, it’s the perfect piece for attending Cochella! Get these looks and others at Forever 21 starting just under $14!